In most aquaria today, combined heaterstats are used in preference to separate heater and thermostat units. This is primarily a matter of convenience and neatness; a heaterstat takes up less space in the tank and needs only a single plug. In a large tank, however, separate units may be required to cope with the greater volume of water, or you may need more than one heaterstat. 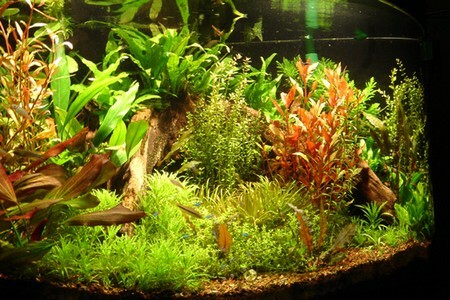 It is important to choose a heater or heaterstat of the right kind and power level for the size of your aquarium. Heaters are typically rated at between 25 and 300 watts in terms of power. How much power you need is partly influenced by external factors, such as whether you will be keeping the tank in a relatively warm room, or if there is likely to be a significant drop in the ambient temperature at night. As a rough guide, you should allow 100 watts per 100 litres (22 gallons) of water in the tank. Provided that it can maintain the water temperature effectively, a less powerful heater component may be preferable to one with the maximum wattage. This is because – in a heaterstat – the heater almost invariably wears out before the thermostat. If the heater remains operating, rather than continually switching on and off, this should prolong the lifespan of the overall unit. If you do need a powerful heaterstat, however, there is very little difference in the initial outlay, even between a 25W unit and a 300W one from the same range. 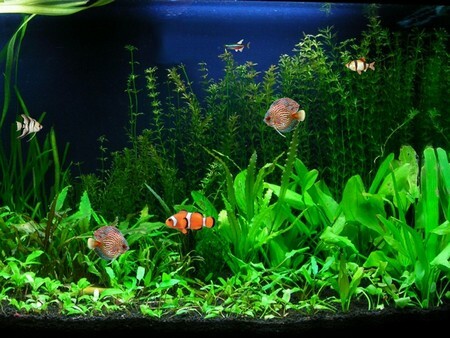 There are design factors which may also influence the efficiency of an aquarium heater, such as the material comprising the core of the element. Ceramic is especially good for assisting the transference of heat from the heater to the water, especially when combined with external borosilicate glass tubing, which is a highly efficient conductor of heat. Most heaterstats are generally of a standard length, but there are also several shorter units on the market; these are suitable for use in small or shallow tanks where the water level may not be deep enough to allow a typical heaterstat to be fully submerged. Certain species of fish may attack the heaterstat – for example, large piranhas have been known to break the glass or even bite through the wiring – which can have catastrophic consequences. One way of pre-empting this potential problem is to use an external pad heater or to invest in a combined heaterstat and power filter unit, where the heater is safely located in the canister of the filter. This kind of unit has two further advantages: one is that it takes up less space, and the second, significant benefit is that the heated water is distributed more efficiently around the aquarium, thanks to the output from the filter. Unfortunately, these combined heaterstat and power filters are relatively expensive, compared with the cost of purchasing individual components. Another heating option is to use a special heating pad which is fitted externally, either at the back of the aquarium or beneath it – ideal if you are keeping aggressive fish. These thin, flexible heating pads are manufactured in a range of sizes. They may also be useful if you need to lower the water level in the tank, as when breeding substrate-spawning killifish; in these circumstances, it would be difficult to incorporate a conventional heaterstat. A heating pad’s output needs to be controlled by a separate thermostat. An external type, which fits outside the aquarium, may prove to be more flexible than an internal thermostat, although it must not be exposed to the water. Most modern thermostats are based on solid state electronics (with no moving parts), and consist of a control unit, linked to a variable heat switch and a temperature sensor in a circuit board. Once the required temperature is set via the heat switch, this registers in the control unit, and the sensor detects the actual water temperature. As the water cools, this information is transmitted back to the control unit, activating the heater. Once the heater raises the water temperature to the predetermined level, the control unit switches off the heater again. When buying a heaterstat or thermostat, make sure that it can be easily adjusted, although many units are pre-set during manufacture to about 25°C (77°F), which is ideal for most tropical aquaria. You can check on the calibration and whether the unit is working correctly by placing the heaterstat in a bowl of water and testing the water temperature after 30 minutes with a reliable in-tank thermometer. Once set, it should not normally need to be adjusted again, although there may be occasions, with sick fish for example, when raising the temperature slightly may well be beneficial. Solid state thermostats are generally more responsive and maintain the water temperature at the preset level more accurately than traditional thermostats based on a bimetallic strip. Most units can be used safely for at least three years. The potential risk of failure in the case of a bimetallic thermostat is inherent in its design. This type of unit includes two strips of metal, one of which is copper, that are fixed together. The two types of metal have different rates of expansion and contraction, so when they reach the preset temperature, the heat makes the strip bend upwards, activating a relay switch which in turn switches off the power to the heater. As the metal cools, so this contact is lost, and power is restored to turn on the heater again. Over time, these movements are likely to become less reliable and corrosion may also occur. This carries the serious danger that the thermostat might no longer act to turn the heater off, allowing the water temperature to keep rising, which would soon be fatal for the fish. As a precaution against this, you could include an aquarium alarm, which will give an audible signal in the event of a sudden shift in temperature.